The Pittsburgh Steelers could be in the market for a wide receiver with Antonio Brown trade rumors being flirted with. 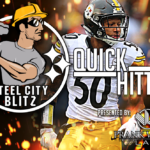 The Steelers will need to replace big play ability and touchdowns, quickly. 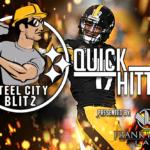 Ben Roethlisberger has been lobbying for a receiver with some size, so today we dive into Hakeem Butler. – Earned his degree in liberal studies in December of 2018. – Two-sport standout in football and basketball. Invaluable height and length, instant mismatch for smaller cornerbacks. Has precise routes with quick cuts. Sinks his hips into his breaks nicely. An adequate blocker when effort is presented. Re-works his body to compete for contested catches. Can create separation against any coverage. Always fights for extra yardage and can be lethal after the catch. A true mismatch with 50/50 balls. A redzone nightmare, high-points the football beautifully and with ease. Effort and technique as a blocker is inconsistent, looks confused or uninterested at times. Could use some revision in his routes in terms or crispness, especially on out routes. A few drop concerns due to focus. Would like to see more effort after a route becomes broken. Lack of lateral agility in short routes. Needs space to rev up his engine to unleash next gear of speed. Change of direction technique will need work, due to his size. If Antonio Brown departs from the Steelers prior to the 2019 season, the Steelers will need to replace him, and fast. 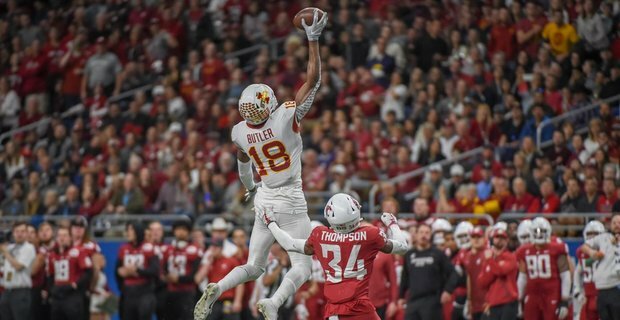 Butler offers a mixture between a red-zone nightmare, dynamic after the catch, a deep threat and a slight possession receiver. This mixture will give defensive coordinators and defensive backs much trouble figuring out how to stop both this skill-set and JuJu Smith-Schuster. Roethlisberger would finally get his big target. This may only come to fruition if the Steelers trade Antonio Brown and in return get a first or second round draft pick in compensation.